What Is the Bronx, Anyway? The Bronx, Anthony Bourdain said this fall on an episode of Parts Unknown devoted to the borough, “is a big blank space in a lot of people’s minds. Including me and I live, what, ten minutes away.” Bourdain was on to something. An abiding elusiveness has seemed to grip the borough ever since the great crime reductions made the place safe: What is the Bronx, anyway? Everyone can agree that the general situation north of the Harlem River has improved since the Dinkins administration, that the Bronx is no longer simply a hellhole, but the hellhole has been replaced by a semiotic emptiness. The cradle of hip-hop, yes, but that was an awfully long time ago; an immigrant place, sure, but much less so than Queens. I’m from the place, and so I have a churlish, tribal defensiveness about it, but I’ve also come to suspect that one reason the Bronx lags so far behind in the identity sweepstakes is that the borough still hasn’t really figured out what it is. Even so, interest in the place has been escalating, just a bit. Earlier this year, Netflix announced that Baz Luhrmann will direct a forthcoming drama series about New York in the 1970s whose central story line will involve the early days of hip-hop in the Bronx. This is both a ludicrous project to give to Luhrmann and an ingenious one, early hip-hop being party music and there being no director so vigorous in his staging of parties than Baz Luhrmann. The break dancing is going to look great, and the graffiti too. But the project’s bound to spark some interest in the Bronx’s curious trajectory, and on that count I’m hopeful, because I do think that there is something that separates the Bronx out from the rest of the city’s Chuck Ramkissoon belt, the great immigrant menagerie. 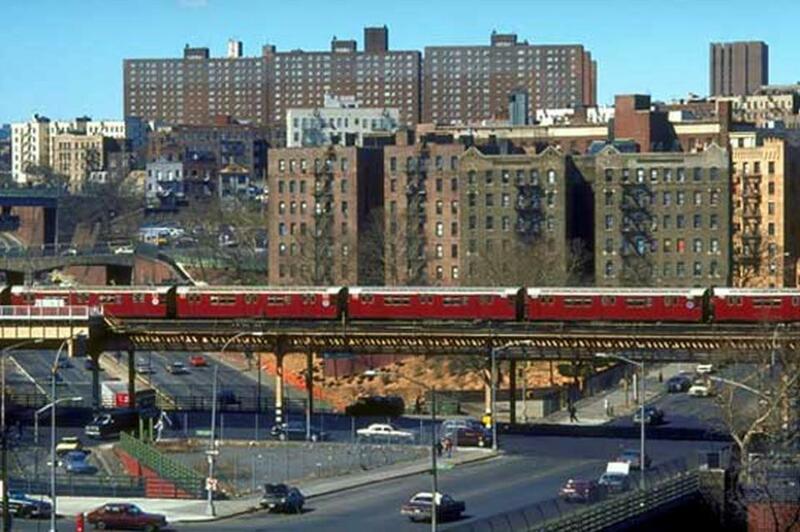 It has to do with the Bronx’s comfort in its dependent status, its namelessness, and with its stubborn culture of aspiration. Of all the places in Manhattan’s general orbit, the Bronx is (and this is its enduring strangeness) both the poorest and the least alienated. That every other place is more distinguishable is true in part because every other place has taken greater pains to contrast itself with Manhattan. Brooklyn, after the accelerating differences of the past decade, now stands in contrast to Manhattan in virtually every way: As a more Bohemian place, a poorer place, a more communal place, and a more ideological place. Queens, with its density of upwardly mobile newcomers and its agglomeration of little lawns, casts a longing eye eastward, toward the Island. Oppositional, conservative Staten Island is atavistic — an idea of what the outer boroughs might have been if the last two decades had never happened. New Jersey and Connecticut and Long Island have whole literatures built around explaining their difference from the city. The Bronx alone is both elusive and placid. The vastness of the borough’s poverty makes you expect that a radical politics will take root there, but it has not really happened. A more transactional spirit — Eliot Engel, Jose Serrano — always seems to triumph instead. The de Blasio election is sometimes said to have altered the basic view of the city, so that the political concerns of the outer boroughs have assumed a more central place, but really, culturally speaking, the triumph has been Brooklyn’s alone. Read More What Is the Bronx, Anyway? — NYMag. This entry was posted in News from the Soul Brother and tagged birth of hip-hop, commentary, New York City, The Bronx. Bookmark the permalink.